Chinese smartphone maker Lenovo is all set to launch their latest offering in the Chinese market. The device, dubbed as the Lenovo S5 will be launched in China on March 20. The company has teased the device on Chinese social media sites as well. The Lenovo S5, which is expected to be the same as the recently TENAA certified K520 is teased by Lenovo to be launching on March 20. Meanwhile, Xiaomi is also launching the Xiaomi Redmi Note 5 Pro in China. Lenovo has teased the design of the phone on Weibo. While the exact specifications of the phone are not known, the device teased by the company matches the recently TENAA certified Lenovo K520. Taking them as the same device, we can say that this one will come with a 5.65-inch full HD+ (2160 x 1080 pixels) curved glass display with 18:9 aspect ratio. 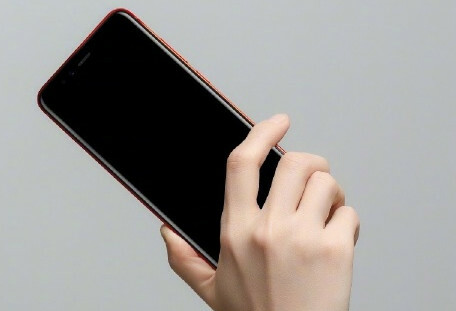 In the teaser, Lenovo has showcased the dual cameras and rear-mounted fingerprint sensor on a matte red coloured device. The front is teased with minimal black colour bezels blending in with the display. While the optics are not known, the Lenovo S5 is shown with Dual rear cameras and the images suggest there will be a single front-facing camera. Expected to be equipped with a Snapdragon 625 octa-core processor, the device is tipped to come in two variants i.e. 3GB/32GB and 4GB/64GB. It is also expected to come with up to 128GB expandable memory. The Lenovo S5 is rumoured to run Android 8.0 Oreo out-of-the-box. Rumoured to be powered by a 3,000 mAh battery, the Lenovo S5 is expected to be a 4G VoLTE smartphone with WiFi, GPS + GLONASS, and Bluetooth as some of the basic connectivity options. The Lenovo S5 is expected to launch in Black, Red, and Silver colours.